On Saturday, Feb. 24 at 6:30 p.m. at Lowe-Volk Park, the Crawford Park District invites you to join members of the Lowe-Volk Astronomy Club as they share their knowledge and telescope skills with all who are interested in the celestial sights. Targets for the winter months will include: M-15 and M-22 Globular Clusters, Andromeda Galaxy, the great nebula of Orion, and our very own Moon. Bring your own telescope or allow the volunteers to assist you with those provided. Call 419-683-9000 for information. At 3 p.m. Sunday, Feb. 25, at Heckert Nature Preserve, 1601 Ohio 19, join Warren Uxley at Heckert Nature Preserve for a nature hike. By late February winter is starting to loosen its grip. Winter bird flocks are breaking up and the first courtship calls can be heard. Warm days can bring out over-wintering butterflies. Come to Heckert to see what this year’s season of transition will bring. Call 419-683-9000 for information. On Wednesday, Feb. 28, at 10 a.m. and 2p.m. at Lowe-Volk Park, enjoy an hour of nature exploration with Crawford Park District naturalist Josh Dyer. The program varies and may include a story, short hike, craft, or a visit from an animal. For pre-schoolers and their parents. Come dressed for the weather. Morning and afternoon programs will be similar, just choose the time that best fits your schedule. Call 419-683-9000 for more information. Courtesy photo The next Arrowhead Day is March 3 at Lowe-Volk Park If you are into pre-historic artifacts, this event is for you. It runs from 10 a.m. to 2 p.m. This year’s focus will be on the Late Archaic Period, specifically Glacial Kame burials. These arrow heads were on display at a previous, similar event. 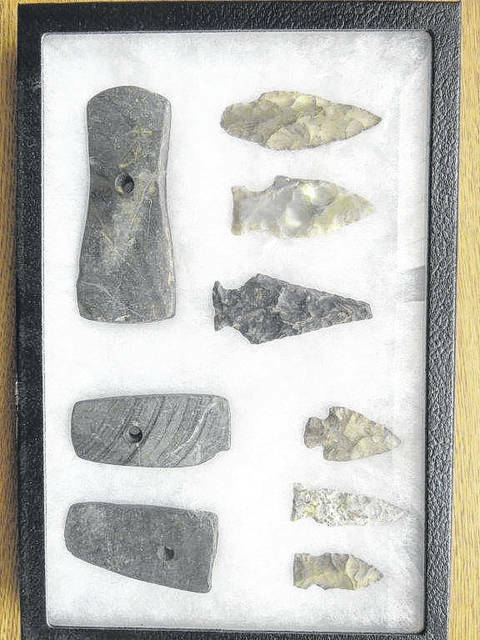 https://www.galioninquirer.com/wp-content/uploads/sites/38/2018/02/web1_arrowhead-1.jpgCourtesy photo The next Arrowhead Day is March 3 at Lowe-Volk Park If you are into pre-historic artifacts, this event is for you. It runs from 10 a.m. to 2 p.m. This year’s focus will be on the Late Archaic Period, specifically Glacial Kame burials. These arrow heads were on display at a previous, similar event.